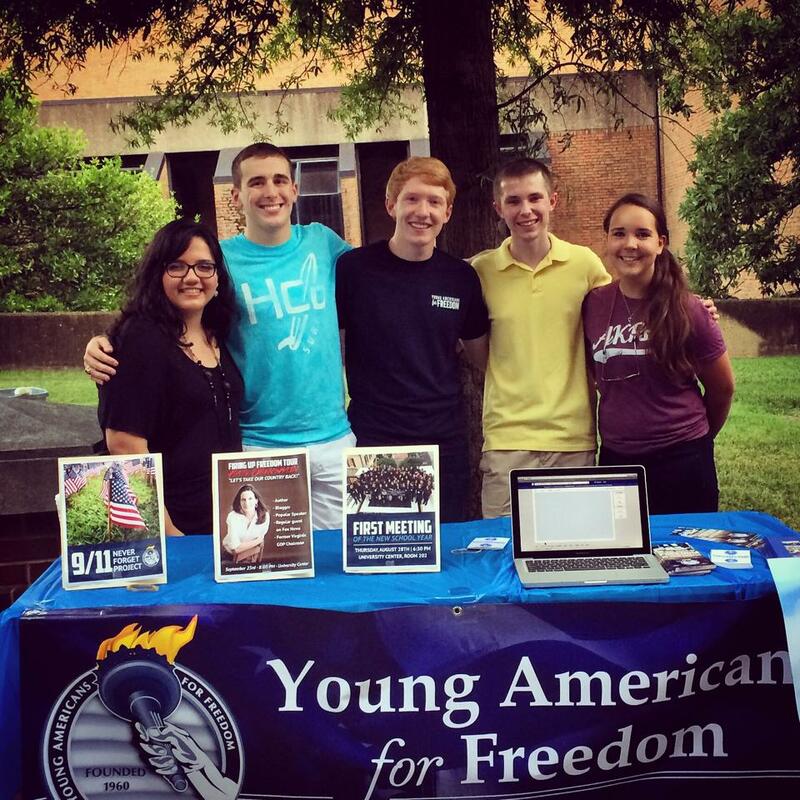 Michael Hensley (center) promotes his YAF chapter on campus. 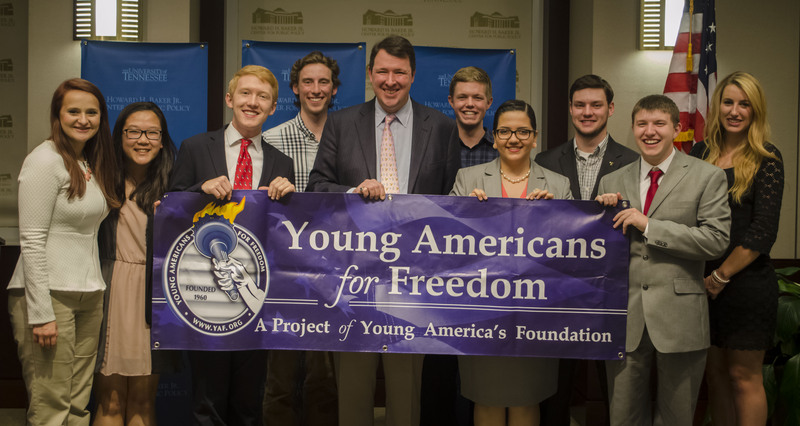 Hensley has also been actively involved with Young Americans for Freedom, a nationwide activist group founded by conservative icon William F. Buckley Jr. back in the 1960s. Hensley brought the organization to the University of Tennessee’s campus in 2014 and brought in conservative speakers such Lt. Col. Allen West, a former Florida congressman, to speak about hot-topic issues on campus. 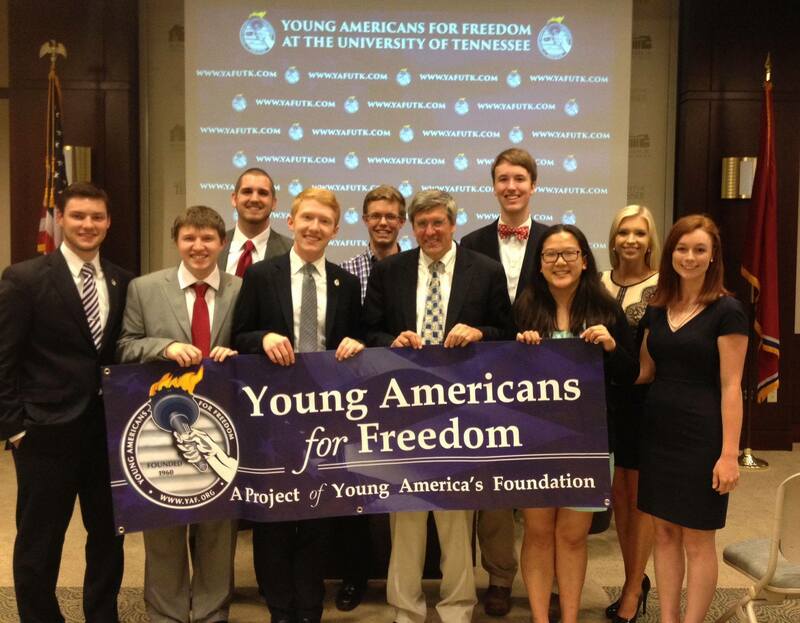 As UTK YAF chair Hensley hosted Lt. Col. Allen West, Marc Thiessen, Kate Obenshain, and other prominent speakers. He was named to Young America’s Foundation’s Club 100 list of the country’s top conservative activists. The USA Today article was written by Tom Novelly, a 2015 graduate of the National Journalism Center.